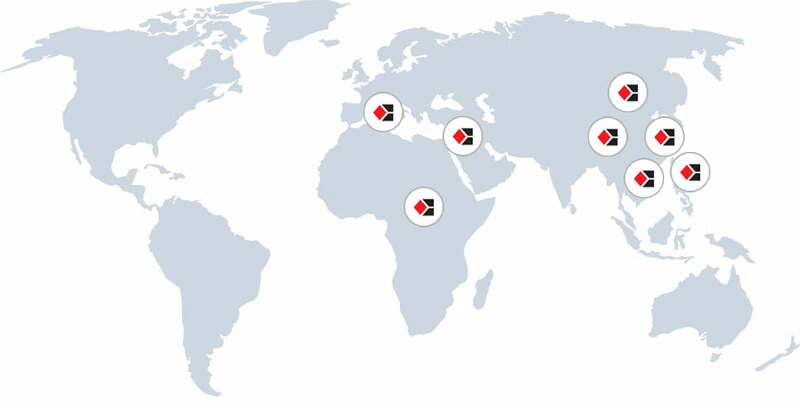 BRG Ceramine established network coverage stretching from Japan, Korea, Taiwan and China, our area of coverage stretches to continental Europe, Middle East, Africa and Asia with a pan global presence. With such an established presence we serve our clients the world over in all the geographies at the slightest click of the mouse. Acclaimed for prompt delivery of quality products our network covers and delivers with a pan global reach. For any need related to our area of expertise we endeavor to serve you with global competence.